However, not only is the ascension back-ward leaning towards the resurrection but it’s forward leaning to the day of Pentecost. While the ascension is tied to the resurrection as its “ultimate confirmation” and the time at which he actually takes his throne, it is at Pentecost when we see the demonstration that Jesus is now in fact enthroned. We’ll look at this in greater detail next time but it’s important to note here that resurrection is tied to ascension which is tied to the event of Pentecost. None of them stand independently from others although each has its own meaning and significance. Therefore, as we think about Christ’s initial ascension we must keep in mind resurrection as well as Pentecost. Ascension is tied to the resurrection and to Pentecost as the proof that Jesus is the promised Davidic Messiah and King who has been exalted to the throne of David and is ruling over the Kingdom of God. That’s quite the sentence but it means there are at least three related Kingdom results of the ascension. 1) It proves Jesus really is the Messiah and King. 2) It proves he’s the Davidic King because he’s on the Davidic throne. 3) As the Davidic King reigning from the Davidic throne we are now participants in the Kingdom of God. This exaltation in the ascension isn’t a general crowing of Jesus as King but it’s tied to the promise that the messiah would be the greater Son of David who reigns over the kingdom of God. Some theologies would call Jesus King but fail to acknowledge that he must then have a real kingdom right now. Let’s look at a couple of examples from the NT. Romans 1:3-4 says that Jesus is the descendant of David (the Messiah and King) and he “was declared to be the Son of God in power according to the Spirit of holiness by his resurrection from the dead, Jesus Christ our Lord.” Why is Jesus now through the resurrection declared to be the Son of God in power? It’s clearly not that he for the first time becomes the Son of God. Rather, he is the Davidic Messiah and King who through his resurrection and ascension to the Davidic throne at God’s right hand is now enthroned in power as King. It is a resurrection-ascension in mind here. As the resurrected and exalted Christ he takes his rightful throne and is appointed or shown to have all power. John Murray writes, “By his resurrection and ascension the Son of God incarnate entered upon a new phase of sovereignty and was endowed with new power correspondent with and unto the exercise of the mediatorial lordship which he executes as head over all things in his body, the church.”  In Acts 2:33 we see the same thing as Jesus’ resurrection is tied to his ascension. Thomas Schreiner connects the dots for us. These two texts (Rom. 1:3-4; Acts 2:9-36) are a sample arguing that in the NT, the resurrection-ascension is when Jesus is shown to be the Davidic king because he’s exalted to that throne. In Acts 2:17-21 Peter explains that the events of Pentecost are a fulfillment of the prophecy of Joel that the Messianic King has arrived. It tells us that the last days are tied to the New Covenant age (Jer. 31:34) since all are given the Spirit. Peter then goes on in verses 22-36 to explain that the last days/Messianic era/New Covenant age are here because David’s greater Son and eternal King has come in the person of Jesus the Christ. Peter explains that Jesus is killed by the Jews (his audience) but is raised by God, in accordance with the OT Scriptures. In verses 25-28 he quotes Psalm 16:8-11 to show that the Son of David would be resurrected, which happened when God raised Jesus. God raises up Jesus from the dead—in part—so he might “set one of his [David’s] descendants on his throne,” which again Peter says in 31-36 is fulfilled in Jesus who is both raised up by God and exalted to his right hand, the throne of David (probably alluding to Ps. 132:11). It should be clear here but let me reemphasize that the text says Jesus is raised to be set on the throne of David (v. 30) and that Jesus has been exalted to the right hand of God (v.33)—which is the location of the throne of David. He then ties this back into explaining Pentecost because as the exalted Messianic King, Jesus is the one who gives the Holy Spirit. “The use of ‘therefore’ (oun) in verse 33 shows that the pour out of the Holy Spirit on the day of Pentecost is evidence of the reign of the Lord Jesus from the throne of David.” G.K. Beale agrees and shows us how the strands of ascension, Pentecost, and kingdom weave together. What we’ve seen in Acts is that Peter (and Paul in Acts 13) says the ascension is essential because in it we see Jesus raised and exalted as the King. He’s King because he takes the throne of David (Messianic King) at the right hand of the Father (God’s Son) and thus fulfills the OT promises about the Christ and King. Pentecost is directly tied to this ascension because the giving of the Spirit and the signs related to it prove that the Messianic age (the last days/the age to come) has begun. The coming of the Spirit upon God’s people is the proof that Jesus is who he claimed to be, the Messianic King who brings forgiveness and new life through his death and resurrection. His kingdom is the kingdom of God, which is the kingdom promised to David’s son, although it doesn’t have the earthly, political expectations the Jews had about the kingdom (although that is to come in the future in a sense). Again, quoting David Peterson’s commentary proves very helpful. Acts doesn’t seem to be arguing that the enthronement and inauguration of Jesus’ kingdom is something only to come in the future—although a future, earthly installment is still to come—but that Jesus is enthroned to the son of David’s spot at the Father’s right hand and the kingdom has been inaugurated and is active through the power of the Spirit right now. Acts doesn’t present the OT prophecies regarding kingdom as having been postponed but that they are being realized in Jesus as King and proven in the sending of the Spirit to his people. This isn’t to say that the kingdom is here in its fullest sense—since Luke points us to the return of Jesus in judgment and salvation—but it is to say that the kingdom is here already. David G. Peterson, The Acts of the Apostles (Grand Rapids: Eerdmans, 2009), 115. “One might be able to say that Jesus’s glorification had begun with the resurrection, even though his full glorification at his ascension had not yet happened (or alternatively, the resurrection, at least, was the beginning of a process inextricably linked to the glorification at the ascension).” G.K. Beale, A New Testament Biblical Theology (Grand Rapids: Baker, 2011), 572. “Together with these other events Pentecost is part of a single, unified complex of events and is epochal on the order that they are. In their mutual once-for-all significance the one event could not have occurred without the others.” Richard B. Gaffin Jr., Perspectives on Pentecost (Phillipsburg: P&R Publishing, 1979), 17. John Murray, The Epistle to the Romans (Grand Rapids: Eerdmans, 1968), 11. Thomas R. Schreiner, New Testament Theology (Grand Rapids: Baker, 2008), 292-93. Paul gives a very similar sermon to the Jews in Acts 13:16-41. See especially verses 29-39 for parallels on how Jesus’ resurrection-ascension demonstrates he is the Davidic Messiah and King, and that through him forgiveness of sins is proclaimed (38). “Paul in his speech draws on Ps. 2:7 to say that God has ‘begotten’ Jesus by raising him from the dead (Acts 13:33). In its historical context the psalm refers to the installation of the Davidic king (Ps. 2:6-7). The installation of the Davidic king is traced to Jesus’ resurrection in Acts, for as the risen one, he also ascended to heaven and sits at God’s right hand (Acts 1:9-11; 2:34-35), and hence he is installed as the messianic king.” Schreiner, New Testament Theology, 292. “In fact, the two themes of the sermon so far—an explanation of the gift of the Spirit (vv. 16-21) and a proclamation of Jesus as Lord and Messiah (vv. 22-32)—are tied together here. As a sequel to his resurrection, Jesus was ‘exalted to the right hand of God.’ In the ancient world, the right hand was often identified with greatness, strength, goodness, and divinity. From Psalm 110:1 it will shortly be demonstrated that the right hand of God is the proper place for the Messiah (vv. 34-35).” Peterson, Acts, 150. See Appendix 1 at the end for a further defense of why Jesus’ kingdom has to be the Davidic kingdom. Alan J. Thompson, The Acts of the Risen Lord Jesus (Downers Grove: InterVarsity Press, 2011), 50-51. Beale, A New Testament Biblical Theology, 239. “In particular, the coming of the promised Spirit at Pentecost is intended to be understood as evidence testifying to how Jesus was raised from the dead (vv.22-28)….the resurrection fulfills the promise to David ‘to seat one of his descendants upon his throne’ (vv. 30-31). Christ has begun to sit on the throne of the end-time kingdom, which he did not do in his ministry, though he was at that time inaugurating the kingdom.” Ibid. The kingdom of God has many layers and aspects to it in the NT. It’s not simply one stream running its own course but it merges into many other tributaries of theology. In the last post we explored how it relates to New Covenant, to the Davidic kingdom, to the New Israel, land, and other important themes in the Bible. One source I found helpful in describing the fundamental aspects of the Kingdom of God is Geerhardus Vos. His fourfold description shouldn’t be seen as an alternative to what we’ve already unpacked but as complementary to it. First, the kingdom of God is theocentric, meaning it points to the supremacy of God and the centrality of His glory above all else. Thankfully, God’s glory is not opposed to our joy or even our own glory, but it is nevertheless the highest priority of the kingdom. In monarchical nations, the glory of the King is the glory of the people. So too in the kingdom of God we not only prize Jesus’ glory more than anything else but we see ourselves as sharing in it. This worldview changes or reorients the focus and the authority of our lives. Will it be God or will it be us? Inside the kingdom of God all its inhabitants see everything else in its relationship to how it proclaims and promotes the glory of Jesus. Second, “It is the sphere in which God manifests His supreme, royal power.” Kingdom is associated with power, prestige, dominance, and strength. Any good King is known partially for his power, grandeur, and strength in a way that parallels his kingdom. The Kingdom of Christ is also a powerful one, which is necessary since Jesus came to step into the octagon with Satan and defeat him through his death, resurrection, and exaltation. We’ve dealt with this above when clarifying the nature of Christ’s kingdom. Jesus came not to immediately set up a physical kingdom of this world that overthrows the power that be, namely Rome. He came to defeat the greatest foe of God and Man, Satan, and to conquer the chains of sin and death he held us in. The strength of God’s power in defeating Satan and conquering the grave is now the same power working in those in the kingdom. In the NT, the Holy Spirit is the dynamic power of the kingdom of God. When we look at how Pentecost relates to the kingdom of God we’ll see that the Spirit is the one launching us and empowering us as go out on the King’s mission. Third, it is a kingdom of righteousness. Shortly after teaching the disciples to pray “your kingdom come, your will be done on earth as it is in heaven” (Mt. 6:10), Jesus identifies the kingdom of God with righteousness and tells us to seek this first. Similarly, Paul tells us “the kingdom of God is not a matter of eating and drinking but of righteousness and peace and joy in the Holy Spirit” (Rom. 14:17). “What our Lord means is that the standard, the norm of righteousness, in the kingdom of God lies in God Himself, that not any lower rule abstracted from purely human relations, but the holy nature, the supreme perfection of the Father in heaven is the pattern to which all must conform.” One of the problems with earthly kingdoms is that while some were powerful almost none of them were at the same time characterized by righteousness. Jesus is a true King who is both powerful and righteous, just and merciful, glorious and yet near. This led Vos to an application regarding the kingdom of God we also should remember. Fourth and finally, it is the kingdom of God because “all its blessings are gifts sovereignly and graciously bestowed by God.” The reality in the kingdom we should live in awareness of is that everything we have is a gift of God. God has rescued us from our slavery and rebellion, he’s given us mercy instead of justice, and it’s all been unmerited, unprovoked, and undeserved. Great Kings don’t oppress their people or keep all of their gifts to themselves. Instead, they spread the gifts to the people, share the wealth, and seek the joy of the people. Jesus has done that and more, being not only the King who gives us everything we have but the King who purchased those gifts by his very own blood. As Vos alludes too in the next quote, the greatest of these gifts is himself. Jesus is not a King who avoids the people and merely sends his gifts. He brings his gifts to us and he comes to the homes of lowly citizens so we might know him and be known by him. Geerhardus Vos, “The Kingdom of God,” in Redemptive History and Biblical Interpretation, ed. by Richard B. Gaffin Jr. (Phillips: P&R Publishing, 1980), 311. Graeme Goldsworthy provided a well-used description in his book Gospel and Kingdom. “There is a king who rules, a people who are ruled, and a sphere where this, rule is recognized as taking place. Put another way, the Kingdom of God involves: (a) God’s people (b) in God’s place (c) under God’s rule.” This classic framework fits for how kingdom is used from the Garden in Genesis 1 to the New Earth in Revelation 21-22. “The entire biblical story…is consistent in its emphasis on the reign of God over his people in the environment he creates for them.” In the kingdom of God as it was fulfilled in Jesus, Goldsworthy says the King is Jesus the Christ, the people is the New Israel (those “in Christ”), the place is the New Temple (where Christ dwells), and the rule is the New Covenant (Christ’s rule). We’ve already looked at Jesus’ presenting himself as the King, and how his kingdom is presently active in power with him on the Davidic throne. This will be explored further when we look at Pentecost and Kingdom. Here, we’ll briefly consider People, Place, and Rule as it ties together a description of the Kingdom of God. The People are all those Jews and Gentiles who have repented of sin, put their faith in Jesus, and have been united to Jesus Christ. It is any Christian whose individual identity is a person “in Christ” and whose corporate identity is belonging to the people “in Christ.” This people can be called the New Israel, since they are the offspring of Abraham who receive all the promises of God through Jesus Christ (Gal. 3:29; 6:16; Rom. 2:29; 2 Cor. 1:20). Just in case we think this a Pauline construct, when Jesus told the Jews the kingdom would be taken from them and given to a people producing its fruits, he is telling us who the “People” of the kingdom of God will be under his reign—a New Israel of Jews and Gentiles in Christ (Mt. 21:43). This corresponds with what we’ve seen already with Jesus’ understanding and development of Kingdom beyond what the Jews expected. “When we move to the New Testament, the theocracy of Israel is replaced by the kingdom of God, which is inaugurated through the coming of Jesus.” Goldsworthy sees those in Christ as the New Israel in part by showing Jesus comes as the true Adam, the seed of Abraham, the true Israel, and the Son of David. He fulfills these messianic and kingly expectations fully, and in doing so composes the true people of God in him who receive all the promises belonging to the people of God. These citizens are given the great privilege of life with the King and under the King. The Place of the kingdom is one of the trickiest parts of the equation to nail down. Without a doubt there is a future, physical consummation on a new Earth where Jesus will reign over his redeemed, resurrected, and restored people…forever. The new earth is the physical land fulfilling a new garden, a new temple, and a new city (similar to how Eden was a garden-temple-city). Almost no one disputes this future aspect of an external, earthly kingdom. The disputed question is where is the Place of the Kingdom in this current stage of Christ’s kingdom? I want to propose that there is a heavenly and earthly aspect of the Kingdom of God, both tied to Christ as the New Temple. In the Gospels, Jesus speaks of the kingdom of God being near or in their midst because it’s no longer primarily about the location of the physical land but the location of the King (Lk. 11:20; 17:20). Since the place (location) of the kingdom is tied to the King, we must recognize that the kingdom of God resides with Christ in his heavenly reign. When Jesus says “my kingdom is not of this world” (Jn. 18:36) he points us to the heavenly (where God is) residence of the kingdom. Consider the criminal being crucified next to Jesus. He asks Jesus to remember him “when you come into your kingdom,” to which Jesus replies, “today you will be with me in Paradise” (Lk. 23:42-43). Christ’s kingdom in this verse is tied to the Davidic throne in heaven he knew he was soon to sit upon. In Colossians 3:1, Paul tells us that Christ is seated at the right hand of God—the Davidic throne of the Kingdom of God. Just as Jesus expands our understanding of a new Exodus from merely a physical pilgrimage to deliverance from sin, so also we should not be surprised if he develops our understanding of the place we’re brought into beyond merely a physical land. G.K. Beale also brings together temple and kingdom as it relates to the kingdom’s presence on earth here and now. “[Jesus] is also the king of the heavenly temple and has caused it to descend through his Spirit. Hence, Jesus is both sitting on the prophesied Davidic throne, which is the locus of the temple in heaven, and is extending that temple on earth.” This unites the mission of God’s Edenic kingdom to go, multiply, and fill the earth with the glory and image of God (Gen. 1:26-28) to the mission of Christ’s kingdom now filling the earth with God’s glory and image as we make disciples (Mt. 28:18-20; Col. 1:6, 10, 14). The kingdom of God is expanding and growing now through the Spirit working in the Church’s testimony and Word as people become loyal to the King. It also points us to the mission’s future completion on the new earth when “the earth will be filled with the knowledge of the glory of the LORD as the waters cover the sea” (Hab. 2:14). Third, we have the Rule of the kingdom of God. The good news of the gospel of the Kingdom is not only that we find forgiveness in Christ and freedom from slavery to the law but that we are made citizens of Christ’s kingdom. “This is not, in other words, simply about the rescue, or salvation, of God’s people from their present plight. It is about their being rescued in order to be enthroned.” This entails the blessings and the responsibilities of living under Christ’s rule. We are no longer slaves under the law but sons under God (Gal. 4:7). “He has delivered us from the domain of darkness and transferred us to the kingdom of his beloved Son” (Col. 1:13). Too often we read “kingdom” in the Epistles as if it’s a general notion instead of reading it with the NT theology of Christ’s rule over the Kingdom of God. Being under the rule of Jesus isn’t the harsh reign of tyranny but the gracious reign of a King who shows us what is right, who protects and leads, and who draws near to his people. Everyone in Christ is a part of his kingdom and lives under the “constitution or polity” of the New Covenant. In this New Covenant we have full forgiveness of sins—even to the deepest recesses of our being—and we’re no longer under the law as our master (Heb. 8:12; 10:22). At the same time, we are given the Spirit and he writes on our hearts the law of God so that we can now obey out of delight in God’s law rather than dreading its punishment. The good news of the kingdom is that we live under the rule of Jesus. This rule offers to maximize our joy by nearness to the King and being part of his people, by knowing all our sin and shame is washed away, and by having changed hearts that now love God (Heb. 8:8-12). We give the King our worship, our obedience, and our very lives and he turns us into image-bearers characterized by fruitfulness and holiness. The New Covenant gives us all these things as gifts the King won for the people he loves, not wages the King pays for what we’ve earned. George Ladd, A Theology of the New Testament (Grand Rapids: Eerdmans, 1974), 89-90. Vos, “The Kingdom of God,” 311. Graeme Goldsworthy, Gospel and Kingdom (Crownhill: Paternoster Press, 1981), 54-55. Graeme Goldsworthy, “Kingdom of God,” in New Dictionary of Biblical Theology, ed. by T. Desmond Alexander and Brian S. Rosner (Downers Grove: InterVarsity Press, 2000), 620:615-620. Ibid., Gospel and Kingdom, see Figure 7 on page 121. T. Desmond Alexander, From Eden to New Jerusalem (Grand Rapids: Kregel, 2008), 89. See Goldsworthy, Gospel and Kingdom, 110-12. See also: G.K. Beale, A New Testament Biblical Theology (Grand Rapids: Baker, 2011); Peter J. Gentry and Stephen J. Wellum, Kingdom through Covenant (Wheaton: Crossway, 2012). Many covenant theologians then ask what promise through covenant was given to national Israel that Jesus has not earned as the true fulfillment of Adam, Abraham, Moses, Temple, Israel, and David? And, if all the promises have been earned by Christ and are given to all those “in him,” why should we conceive of any remaining promises only to national Israel and not the true Israel. One is not required to take this position to agree with what’s said in the body of the paragraph above, but it is a theological question worth asking. See Beale, A New Testament Biblical Theology, 766-772. “One other important focal point in the locality of God’s kingdom is the Temple. The Temple could function as such a focal point because it represented the dwelling of God among his people. It demonstrated that the promised land was not merely living space for people but was the setting for a relationship between God and man. The Temple was thus integral to the existence of the Kingdom of God and by it the Kingdom could be identified.” Goldsworthy, Gospel and Kingdom, 114. J.G. Millar sees NT connections of land in the doctrine of adoption for Paul, and in the idea of rest in Hebrews. J.G. Millar, “Land” in New Dictionary of Biblical Theology, ed. by T. Desmond Alexander and Brian S. Rosner (Downers Grove: InterVarsity Press, 2000), 626. Goldsworthy, Gospel and Kingdom, 113. In the OT, the Jews looked to restoration to the land to know that God was returning them from exile and shining his favor upon them. However, in the New Covenant Jesus doesn’t take us into physical land as demonstration of our salvation. “Redeemed people do not go to a geographical place to be redeemed; rather, they flee to Christ and God for their salvific restoration.” Beale, A New Testament Biblical Theology, 750. Acts 1:1 bridges the Gospel of Luke and The Book of Acts. It refers to Luke as “all that Jesus began to do and teach,” and leads us to read Acts as all that Jesus continued to do and teach by his Spirit and through his Church. Beale, A New Testament Biblical Theology, 770, fn. 39. Wright, How God Became King, 193. For an explanation of why Col. 1:13 is tid to the Davidic Kingdom of 2 Sam. 7:12-16, see: G.K. Beale, “Colossians”, in Commentary on the New Testament Use of the Old Testament, ed. G.K. Beale and D.A. Carson (Grand Rapids: Baker, 2007), 850. Daniel Montgomery and Mike Cosper, Faithmapping (Wheaton: Crossway, 2013), 35. Gaffin, “Kingdom of God,” 367. Gentry and Wellum, Kingdom through Covenant, 591. See also: Goldsworthy, Gospel and Kingdom, 115-118. Gentry and Wellum, Kingdom through Covenant, 595. Throughout Acts the followers of Jesus are the witnesses that Jesus is Messiah, crucified by men but raised up by God, who offers forgiveness of sins and the gift of the Holy Spirit (an OT sign the Messianic kingdom is active). Luke—the author of Acts—calls this message the gospel of the kingdom. It encompasses the current reign of Jesus who can deliver from the reign of sin and his future return on the day of the Lord when he will swallow up death forever. Both stages are part of Christ’s established kingdom that will never be halted and both are essential to its exercise. “The Kingdom of God is the redemptive reign of God dynamically active to establish his rule among human beings, and…this Kingdom, which will appear as an apocalyptic act at the end of the age, has already come into the blessings of God’s reign.” As we outline the temporal pattern of the kingdom of God I will be relying heavily upon the work of Richard Gaffin. One might simply speak of the kingdom as present and future, but when speaking about Jesus’ teaching on the kingdom of God Gaffin breaks it down into three temporal patterns: its present in Jesus’ ministry, there’s an immediate future after his death, and there’s a distant future associated with the coming Day of the Lord. First, Jesus talks about the kingdom as being present in some ways even prior to his death and resurrection-ascension. Likely, this is at least partly proleptic in that Jesus’ speaks with the end-result of his ministry in mind. “The disciples are blessed, just in distinction from those most prominent under the old covenant, because they have been granted and experiential knowledge of ‘the secrets of the kingdom’ as a present reality (Mt. 13:11, 16-17). The ‘least’ one presently in the kingdom is greater in this respect that John the Baptist (Mt. 11:11; cf. vv. 12-13).” This reminds us that Jesus doesn’t talk about a future kingdom dependent on Israel accepting him. He declares with authority the kingdom has come near to them because the King is here, he is about to defeat Satan and take the throne of David through his death. Second, Jesus does speak about the kingdom coming immediately in the future. This anticipates the inauguration of the kingdom at his resurrection-ascension and is what we are living in now. Although Jesus speaks of the kingdom during his ministry at times in anticipation of the victory he will achieve, other times he tells the disciples about the kingdom’s coming in power when he leaves them. When Jesus tells his disciples that some standing here will not taste death before they see the kingdom of God (Luke 9:27; Mt. 10:23; 16:28; Mk 9:1), he was not saying that the “final day” will come before they see death but that the kingdom will come in power—in its inauguration. There is an immediate future to the kingdom (Mt. 4:17; Mk. 1:15) that is “best understood as arriving in the death and exaltation of Jesus (including Pentecost).” Whereas this climactic coming of the kingdom when Jesus is exalted to the throne of David at the right hand of God (Rom. 1:4; Acts 2:33) is spoken of as future by Jesus, it is the “already” part of the kingdom we’re living in now. Third, Jesus speaks of a coming in the distant future, which for us today occupies the “not-yet” stage of the kingdom. “Faithful Jews and Gentiles will gather for the great kingdom-banquet at the same time that unbelieving Jews (as well as other unbelievers) are excluded, that is, at the time of final judgment (Mt. 8:11, 12).” This view isn’t dependent on a particular view of the millennium, since whether pre-, post-, and amillenial views hold to a remaining consummation. “The challenge for us in this age is to avoid both underrealized and overrealized eschatologies of the kingdom.” In other words, Christians in this present age are participating here and now in the age to come. We are those in the kingdom of God—Christ’s kingdom—and so we should see ourselves as living with him and under his rule. And yet, at the same time we should live in light of his return when the kingdom will be consummated in both a spiritual and a physical form. The kingdom isn’t something wholly in the future but something we are living in now as those who by Jesus’ blood have been transferred from the kingdom of darkness to the kingdom of the beloved Son (Col. 1:13). “The Kingdom of God involves two great moments: fulfillment within history, and consummation at the end of history.” Living in light of the kingdom means both “great moments” are always in view. The Kingdom of God brings great weight and meaning to the present since we’ve received the privileges and the power of God’s kingdom, but it also reminds us that there is a kingdom to come when all evil, pain, and sin will finally be eradicated as we will dwell with God forever. N.T. Wright is worth quoting at length to close out this section. Richard B. Gaffin, “Kingdom of God,” in New Dictionary of Theology, ed. by Sinclair B. Ferguson, David F. Wright, and J.I. Packer (Downers Grove: InterVarsity Press, 1988), 368. Another possible interpretation is that its fulfillment is in the very next scene, the transfiguration, when Peter, James, and John experience the glory of Jesus in a profound way. However, even if this interpretation is taken, many commentators see the Transfiguration as a preview of Christ’s resurrection-ascension glory that will be demonstrated at Pentecost. Horton, The Christian Faith, 543. George Ladd, The Presence of the Future (Grand Rapids: Eerdmans, 1974), 218. Wright, How God Became King, 38. The Gospel of Mark is a non-stop action story. Mark moves with brevity from scene to scene, often carried along by the words “and” or “immediately.” The very first scene of his Gospel brings into focus John the Baptist, a Bear Grylls like character living in the wilderness eating from nature’s original fresh market. John is a prophet bridging the two testaments, but more importantly, he fulfills the OT role of the Messianic forerunner. According to the OT prophets, we’ll know the Messiah is coming when an Elijah like figure prepares the way by calling the people to repentance (Is. 40:3; Mal. 3:1; 4:5-6). All four Gospels highlight the ministry of John the Baptist because anyone familiar with the OT would have expected such a character to precede the Messiah. In older kingdoms one would expect heralds to enter a city before the King so the people could prepare and pay attention. The message of John is to repent, to turn from your ways and your idolatry, and make room for the King. The response is a corresponding baptism symbolizing such purification. The reason for such a declaration: the kingdom of heaven is at hand (Mt. 3:2). As we’ve seen, the OT expectations of a Messiah and King and the role of John the Baptist as heralding the arrival of this Christ make it clear that this kingdom of heaven is the arrival of God’s anointed Messiah and Son of David. Some dispensationalists have misunderstood Jesus’ message of the kingdom in the NT. They say that Jesus was offering a physical, political, national kingdom to Israel—since they say all OT prophecies to Israel must be fulfilled in a literal (i.e., physical) manner—but since he was rejected the kingdom of God has been postponed until he returns (for a millenial kingdom). Two of the problems with this view must be expressed to help us better grasp Jesus’ understanding of the kingdom. First, Jesus seems to understand kingdom from the outset in a different way than the Jews in his day (and present dispensationalists). Second, Jesus and the NT as a whole do not speak of the kingdom as wholly future—and certainly not postponed—but as inaugurated, present, and active. Let’s look at each in turn because these are key to understanding the kingdom of God. 1) What Kind of Kingdom Did Jesus Offer? First, as been hinted at, the clash between the Jews and Jesus comes in part because they seem to have different understandings of the kingdom. The Jews could only accept a kingdom that was physical and earthly, where the Messianic king brought defeat to the worldly power of Rome and restored glory to Israel. Jesus does in fact see himself fulfilling the OT understanding of the Messianic King, but for him it appears different than many Jews anticipated. As I’ve said, this should not be surprising because the Jews in Jesus’ day missed the boat quite often when it came to interpreting the OT rightly. Jesus’ kingdom “answers to the great OT expectation. What Jesus announces is the realization of Israel’s hope, the fulfillment of the covenant promises made to the fathers; the new and final order at the end of history has arrived at last with Jesus.” Yet, he describes it as coming in organic, hidden, and spiritual ways that were unexpected. This is not to say that Jesus never uses external metaphors to speak of the kingdom—and as we’ll see there is a future element to it—but he primarily understands it as a spiritual kingdom where God’s rule extends over the lives of His rescued people. One example of this would be Jesus’ response to the religious leaders of his day. When the Pharisees asked when the kingdom would come, Jesus says “The kingdom of God is not coming with signs to be observed, nor will they say, ‘Look, here it is!’ or ‘There!’ for behold, the kingdom of God is in the midst of you” (Luke 17:20-21). In the parables, Jesus repeatedly explains the kingdom of God in internal, spiritual, and organic terms not external, political ones. “Both the present reality and the organic-spiritual character of the kingdom are most clearly taught in the great kingdom parables (Matt. 13; Mark 4; Luke 8)”. There is a distinction here between the kingdom Jesus brought and the kingdom the Jews wanted. We also see this in the primary enemy of the kingdom in mind, not a national one but a spiritual one (Mt. 12:28; Lk. 11:20). “What forms the contrast of God’s kingdom in Jesus’ mind is never any political power, e.g., that of Rome, but always a superhuman power, viz., that of Satan.” When Jesus says, “My kingdom is not of this world,” (Jn. 18:36), he doesn’t speak of this other-worldly kingdom as the Plan B or backup-kingdom but as the very nature of the kingdom he came to bring. Beginning with the Gospels and throughout the NT, the kingdom of God is seen as having been inaugurated and now actively carrying on under the rule of Jesus Christ. No NT author speaks as if the current kingdom is anything other than the kingdom alluded to in the promises and prophecies of the OT. Christ has been exalted to the right hand of the Father and has poured out his Spirit upon the people as the power of the kingdom (Acts 2). This kingdom is the kingdom of the New Covenant and has brought the ‘age to come” and the “new creation” into the present day. When we consider the teachings of Jesus on the kingdom he has brought—not as an offer dependent on their acceptance but as a reality dependent on his Messianic victory—and the rest of the NT teaching that we’re now citizens in this kingdom, then we must conclude that the kingdom of God in Christ now looks different than many of the Jews expected (I Cor. 4:20; Col. 1:13). And, this should help formulate our theology so the kingdom we live in already and the kingdom not-yet in its consummate form are understood based upon its Christological fulfillment. The second misunderstanding of the kingdom in many people’s minds is that it’s wholly future and therefore postponed. This theory is usually dependent on the first mistake. If one cannot hear Jesus’ teaching on the kingdom because they’re only focused on an external, physical kingdom then they will have to say the kingdom is all in the future. The NT clearly teaches that the kingdom has come—in part—and so this view has become unpopular among most theologians today. Jesus does not settle for a second-class spiritual kingdom for Jews and Gentiles, waiting for the real kingdom to come in a physical manifestation only in Jerusalem. One book or one NT author might stress more of what is present (realized) or what is still to come (unrealized), but the NT as a whole teaches an already-not-yet scheme where the kingdom has come and will come. Jesus has inaugurated (launched) it but will one day consummate (finish) it. “These present and future aspects cohere not as two or more kingdoms but as the one, eschatological kingdom arriving in successive stages or installments.” One installment is primarily spiritual and hidden and one will be a physical kingdom over all of creation. The apostles preached the good news of the kingdom because they realized Jesus’ kingdom was what they had been waiting to arrive. It’s not the good news of a wholly future kingdom to come and it’s not the disappointed news that they had to settle for a spiritual kingdom because Jesus’ plan A got squelched. Instead, part of the confusion in the first century and still today is that we don’t listen to the kingdom Jesus describes. Instead, many bring their assumed expectations from the OT of a kingdom that can only be physical and so this framework obscures the NT teaching on the kingdom. We will see this more clearly in our next post by outlining the two stages of the kingdom’s coming. I want to briefly mention two reasons why this matters. First, we must read the Bible as progressive revelation. This means that the Bible is like other stories in that as the narrative unfolds we have more details and clarity to help us look back. So, while the NT does not change the OT story and they should not be read in conflict, we should allow the NT to helps us interpret the OT. This is an overgeneralization of course, but one of the problems many covenant theologians have with dispensationalists is they often fail to allow the NT to give us clarity as to what the OT was pointing towards. The OT should inform our understanding of the NT but it shouldn’t strain seemingly clear NT teachings because of our need to see it fulfilled in physical ways (literal) exactly as stated. Second, the type of kingdom Jesus brings rebukes our constant seeking of glory. The kingdom of Jesus now is hidden and aims first at transforming hearts and bending wills to the authority of Jesus. The Jews wanted a kingdom that exalted them not want that called for them to serve others or remain under the rule of Rome. It’s in all of our hearts to want a kingdom right now of prestige, power, and glory among other people. The kingdom of Jesus is all about Jesus, so while we might share in his honor and victories through union with him we should not expect or want the world—who doesn’t recognize his kingdom—to sing our praises. 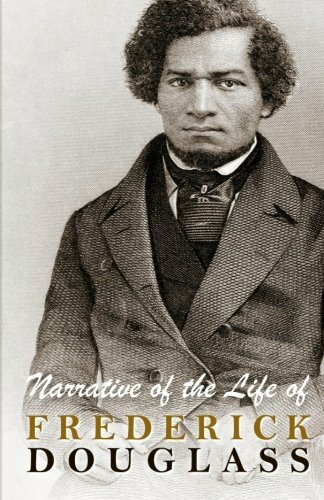 This is a beautiful quote from the Narrative of the Life of Frederick Douglass. Douglass wrote this himself as a 26 year old. The language is beautiful in its descriptions and emotions, and as the reader you can imagine some of what he was seeing and feeling at the time. This brief section is from Chapter 10 and is when he was a slave under Mr. Covey near the Chesapeake Bay. “Mr. Covey succeeded in breaking me. I was broken in body, soul, and spirit. My natural elasticity was crushed, my intellect languished, the disposition to read departed, the cheerful spark that lingered about my eye died; the dark night of slavery closed in upon me; and behold a man transformed into a brute! At the very outset of Genesis 1 there is kingdom language for both God (as High King of all) and Adam (as God’s representative king on earth). The language of “image” parallels other Ancient Near Eastern customs when a king would set up his image throughout the kingdom as a representation and reminder of who ruled. God gives Adam a place (kingdom land) and tells him to exercise dominion (kingly rule) and spread (kingdom expansion) throughout the whole earth. Adam and Eve fail to protect the kingdom and even try to stake their claim to God’s throne so they’re exiled from Eden. Although the NT phrase of “kingdom of God” isn’t used in the OT it should be clear by now that the ideas were fundamental to Israel’s theology and are a key stream in the Bible’s storyline. Richard Gaffin highlights two dimensions of kingdom in the OT, which parallel two dimensions in the NT. First, there is a “general and eternal kingship”, where God is King over all since He is Creator of all (Ps. 47:2; 103:19; 145:13). Second, there is a “covenantal kingship,” where “God is the king of his covenantal people, Israel” (I Sam. 12:12; Is. 41:21; 43:15). The Jews, therefore, anticipated a coming King who would rescue Israel from exile and reestablish Israel as God’s light to the nations. This Kingdom would bring in the new age and the OT prophets see it as the dawning of a new creation. With this OT history in mind, when Jesus and John the Baptizer speak about the kingdom of God it is not something new and unheard of but something old and hoped for. There wasn’t a birthday party one year where the cousins got together and came up with framing Jesus’ ministry around a clever concept they created, kingdom. “Our Lord did not come to found a new religion, but simply to usher in the fulfillment of something promised long beforehand.” Part of the clash between Jesus and the Jews is what the proper understanding of kingdom is and what it should look like. Jesus brings a kingdom that is not first political but spiritual. The conflicting views on what kingdom should be points us to the reality that first-century Jews had a concept of kingdom, so when Jesus and his followers preached the kingdom of God it is expected that their audience would have OT expectations and categories in their minds. Thomas Schreiner summarizes what those expectations might have been. As we move forward in looking into the NT teaching on the Kingdom of God we must remember this backdrop so we don’t think Jesus speaks on the kingdom in a vacuum. The OT anticipates the coming of the King and a Kingdom. The Jews who reject Jesus not only refuse the King but they repudiate his understanding of the kingdom itself. Jesus and the NT authors, however, describe the “mystery” (secret) of the kingdom of God which came to us in Jesus’ life, death, resurrection, and ascension as fulfilling the OT expectations while doing so in a way most Jews might not have expected. This shouldn’t surprise us, since time and time again we see the Jews misunderstanding the fullness of the Scriptures as they replace the agenda of God’s kingdom with their own agenda. In order to keep things brief I won’t be unpacking a lot of direct application as we move forward. However, two immediate applications can be mentioned here for why what’s been written even matters. First, since the kingdom of God is a primary theme in the Bible it will help our understanding of the Scripture, God’s ways, and Christ’s person and work if we better understand the kingdom of God. If we simply choose to ignore the kingdom of God or to allocate it wholly to future things to come then we’ll miss out on our reading of both testaments. Second, this is a good reminder that all of life is lived with the tension of who will be king. God creates us to live under His rule and then to mirror Him to the world. The temptation for man in the Garden of Eden and ever since has been to live under no one’s authority but our own—to crown ourselves as king. Everyone will live with someone as king, and a deeper understand of the kingdom of God under Jesus will help us live faithfully with him and under his gracious rule. T. Desmond Alexander, From Eden to New Jerusalem (Grand Rapids: Kregel, 2008), 76-79. For a good survey of kingdom in the OT, see: Graeme Goldsworthy, Gospel and Kingdom (Crownhill: Paternoster Press, 1981), 58-103; Peter J. Gentry and Stephen J. Wellum, Kingdom through Covenant (Wheaton: Crossway, 2012). N.T. Wright, The New Testament and the People of God (Minneapolis: Fortress Press, 1992), 320. Richard B. Gaffin, “Kingdom of God,” in New Dictionary of Theology, ed. by Sinclair B. Ferguson, David F. Wright, and J.I. Packer (Downers Grove: InterVarsity Press, 1988), 367. See NT parallels to this dimension of kingship: I Cor. 15:27; Eph. 1:22; Heb. 2:8. Ibid., 367. See NT parallels to this dimension of kingship: Mt. 21:5; 28:18; Acts 2:24-36. Geerhardus Vos, “The Kingdom of God,” in Redemptive History and Biblical Interpretation, ed. by Richard B. Gaffin Jr. (Phillips: P&R Publishing, 1980), 304. Thomas R. Schreiner, New Testament Theology (Grand Rapids: Baker, 2008), 45. See Mark 4:11. Geerhardus Vos writes, “This mystery, this new truth, we may find in the revelation that the kingdom is realized gradually, imperceptibly, spiritually, for in comparison with the Jewish exclusively eschatological expectations this was so novel and startling a thought that it might be fitly called a mystery.” Vos, “The Kingdom of God,” 307. John Flavel, The Fountain of Life in The Works of John Flavel, volume I (Carlisle: Banner of Truth, reprinted 1997), 34. The Bible is the story of kings and kingdoms through and through. From Genesis 1 when God commissions his image-bearers to exercise dominion until Revelation 21-22 when Jesus restores a kingdom on the new earth, the whole story smells thick with the aroma of kingdom. And yet, in the opening quote Peter Kreeft pins down an interesting reality that has haunted American evangelical theology. Because we are a people who prize democracy—which means we dislike, dread, or don’t understand kings—American churches have taught very little about “the kingdom of God.” Not that this is the only reason we’ve avoided teaching on the kingdom of God. The shock of it all is that we haven’t downplayed a theme on the margins of the Bible but one of the primary themes in the NT—and the Bible as a whole. It’s clear that for Jesus, the Kingdom of God was both at the heart of his teaching and his role. John the Baptist prepares the way for Jesus by preaching that the kingdom is nearing (Mt. 3:2). Jesus tells the Jews—who would have heard him with Messianic and Kingly expectations from the OT—that the kingdom is now among them (Lk. 11:20; 17:21). He commissions his disciples before and after the resurrection to preach the good news (gospel) of the kingdom (Lk. 9:2; Acts 1:3). In the Epistles, the exact phrase “kingdom of God” becomes less prominent but the same ideas are retained (Col. 1:13; Heb. 12:18-29). All of that to say, if the Kingdom of God was a priority in Jesus’ teaching and mission, and if it’s at the heart of NT theology, then we should probably make it a priority in our understanding of the NT. A thorough investigation of kingdom would require tracing its importance and development through every epoch, as well as more in-depth exegesis on a host of NT passages rich with a theology of the kingdom. That can’t be done here—and others have already done it—so I will try to give a fast-break summary of major ideas and descriptions of kingdom in the NT. I will also be arguing for the present (already) aspect of Jesus kingdom being the Davidic kingdom Israel had been looking for. My hope is that by providing a basic framework of the kingdom of God we can begin to take next steps in understanding and then living in light of Christ’s Kingdom we are a part of right now. Recently I’ve enjoyed doing travel research. I’m a huge fan of history but also like good food, different cultures, and beautiful sights. Researching a location usually begins with the 30,000 foot view. What are the eye-catching zoomed out views of a worthy site (city, landmark, scenery)? How is the place generally described and what gives you a basic feel for the place? It’s similar to a helicopter tour that shows you the city as a whole. But, soon after that, you have to start getting into specifics. What are the specific buildings to see, where is a good hotel, where do I get on a bus? The helicopter view is great in its breadth but walking in the streets is where you really see the depth of a city. This summary will start with the helicopter view and then later on allow us to start navigating the roads and stepping into the must see landmarks when it comes to the kingdom of God. As we take this tour, there will be sites I don’t have the time to point out—not because they aren’t important—so you’ll just have to go back and check them out on your own. There is much to be said so I will unpack this important idea in 7-8 posts. If you stick with this you will not be an expert on the kingdom of God, but, you will hopefully know a little bit more than when you started. I’ll be honest up front, I’m primarily summarizing a Reformed understanding of the kingdom of God in the NT in its present (already) form, and making a theological defense for why this present kingdom is the promised Davidic kingdom. Here’s a summary of the upcoming posts. 1) Jesus fundamentally understood the kingdom of God promised in the OT differently than the Jews of his day. 2) Working off of Geerhardus Vos: It’s theocentric, powerful, righteous, and based on God’s graciousness. Header image courtesy of the images & graphics Jedi, Greg Pilcher. Peter Kreeft, The Philosophy of Tolkien (San Francisco: Ignatius Press, 2005), 44. The word for “kingdom” is used 162 times in the New Testament. Kreeft does not here make the connection between American democracy and the misunderstanding and downplaying of kingdom from the Bible. In the beginning of the section on Kingdom, Faithmapping does hint at the connection. Daniel Montgomery and Mike Cosper, Faithmapping (Wheaton: Crossway, 2013), 29-30. Two other reasons could be mentioned. First might be our need for proof texts where the word “kingdom” is used rather than being able to make connections with thematic allusions like “throne,” “reign,” “David’s Son,” and others. Second, the prominence of dispensational theology in much of America, which until the last 20 years saw the kingdom of God as almost entirely future, minimized preaching and teaching on the kingdom of God. It’s hard for me to believe that Dispensationalists would claim that Jesus is not the Davidic King reigning right now on the Davidic throne over the eternal Kingdom of God promised to David’s Son. That view has however become a minority as classical and revised dispensationalists are either on or nearing the theological endangered-species list (at least in academic and biblical-theology circles). Among the numerous responses that I’ve found helpful, here are some quotes from Progressive Dispensationalism (which on a spectrum is closer to Covenant Theology than Dispensational Theology) by Craig Blaising and Darrell Bock. Craig Blaising and Darrell Bock bring up three of the most common classical or revised dispensational objections to Jesus’ reign as Davidic King. I’ll mention the first two and quickly summarize their response (although I recommend reading this section in their book in its entirety). Objection 1. “The throne Jesus received at His ascension was not the throne promised to David.”. Craig A. Blaising and Darrell L. Bock, Progressive Dispensationalism (Grand Rapids: Baker, 1993), 174-283. Pages 182-187 are worth reading in their entirety. John Calvin, The Institutes of Christian Religion, II.XVI.19.